Madagascar, the Red Island, is home to some of the rarest and most endangered species on earth. From this exotic habitat, the Coton de Tulear breed traces its early development. Oral histories eventually lead to the recording of several fascinating legends which surround the origins of the Royal Dog of Madagascar. During the great Spanish expedition era of the 15th and 16th centuries, the now extinct Bichon Tenerife, a small terrier type of dog originating from the Spanish archipelago, accompanied voyagers to act as ratters and for companionship on the long, tedious journeys at sea. It is assumed some of the little dogs escaped ship upon landing at shore. These Tenerife Canary Island dogs may have mixed with native dogs on the island of Malta, Sicily, France, and South America. Through natural selection certain types may have become more prevalent giving rise to the current day’s Maltese, Bolognese of Italy, South American Havanese, French Bichon Frise, and Lowchen of the Mediterranean region. The Coton de Tulear shares a similar background. The Tenerife also made its way, with pirates and sailors, to Reunion in the Indian Ocean. The little dogs, left behind, became the foundation for the Coton de Reunion, allegedly a cotton-coated dog. The Reunion dog was brought on sea-faring vessels to Tulear, a trade port in Madagascar. Although the Coton de Reunion no longer exists, it is generally considered an ancient ancestor of the Coton de Tulear. The Merina, the ruling tribe of Madagascar, were the purported stewards of the breed. Ownership of "Le Coton de Tulear" was solely reserved for Malagasy nobility, wealthy landowners, and colonials. Thus the Coton was coined the Royal Dog of Madagascar in America. Another tale chronicles a disastrous shipwreck near the Tulear coast of Madagascar. The passengers did not survive, however some of the little companion dogs swam to the safety of shore. These small, strong dogs assimilated into Madagascar’s feral dog population. Over time, offspring of this association lead to the ancestors of the Coton de Tulear breed. An anecdotal story attributes the development of the breed to a French woman residing in Madagascar during the 1800’s. It is described that this colonist selectively mixed the small native dog types with the Maltese, Bichon Frise, Papillon, Bedlington Terrier, and Morondava Hunting Dog developing the roots for the creation of the Coton de Tulear breed. The Maltese and Bichon Frise may have endowed the traits of small size and a white, cottony-texture, long coat. The occasional color in Cotons may be the contribution of the Papillon. The Coton has a slightly convex spine similar to the Bedlington Terrier. The sturdy bone structure of the little Coton de Tulear may be related to the Morondava Hunting Dog. A delightful Malagasy legend depicts the intelligence of the Coton de Tulear breed. A pack of Cotons needing to cross a river encountered a barrier to their passage-hungry crocodiles. The clever dogs devised a plan. A few members of the pack swiftly scurried to another area of the riverbank and barked loudly as a diversionary tactic. As the crocodiles crawled up the bank, the Cotons ran like the wind and rejoined their pack to safely swim across to the opposite side. Historical facts are shrouded by the passage of time. However the legends give us tantalizing clues regarding the heritage of the Coton de Tulear breed. The contemporary story of the Coton begins with the recognition of the Coton de Tulear as a distinct breed. It has been written that during the 1950’s, a small breed dog from Madagascar began to appear in Europe. This occurrence would seem logical since Madagascar was a colony of France at the time. The Societe Canine de Madagascar (Malagasy Kennel Club) was created in 1966 by Louis Petit. Lionel Coudre, a Coton de Tulear breeder and owner of d’Ivandry Kennel in Madagascar at the time, was also an early member of the club. The Coton de Tulear was initially registered as a breed in its country of origin, on May 15, 1968, with the Societe Canine de Madagascar. Shortly thereafter, the Societe Canine de Madagascar sought breed recognition from the Federation Cynologique International (FCI). By 1971 the Coton de Tulear was recognized by FCI with the establishment of the first, original breed standard. The Malagasy Kennel Club held this early FCI Standard. In the same year, another version of the FCI Coton de Tulear Standard was adopted in Europe. The primary discrepancy between these two original standards was in regards to coat color. The Malagasy Kennel Club’s published FCI Standard allowed for some coat color, specifically white with black markings in its Coton description. U’Rick, in Madagascar, was the first Coton de Tulear granted official FCI registration in 1972. James is fondly referred to as the “great granddaddy” of the breed. He appears in Coton de Tulear registries around the world as an early ancestor. James was purchased in Madagascar and was owned by the d’Ivandry Kennel for a period of time. James eventually was brought to Europe. Monsieur Coudre, owner of the d’Ivandry Kennel, departed Madagascar in 1976 and returned to France. The Coton de Tulear made its USA debut in late 1974. 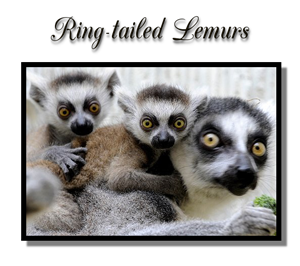 Dr. Robert Jay Russell became aware of the breed in 1973, while researching lemurs in Madagascar. He originally sent two Cotons, Jael and Jiijy from the Billy Kennel in Madagascar, to his father (J. Lewis Russell) in the States. Lew Russell then established Oakshade, credited as the first American Coton de Tulear kennel. Jael, sired by U’Rick of Billy, was one of Oakshade’s foundation Cotons. In 1976, the Coton de Tulear Club of America (CTCA) was formed and embraced a somewhat different breed standard, co-authored by Jay Russell and Lee McGeorge Durrell. However the FCI description of a Coton de Tulear remained the breed standard by which Cotons were judged at shows worldwide. During the latter part of the 1980’s, legislation was proposed to preserve and protect the Coton de Tulear as a purebred dog in Madagascar. The future law restricted the exportation of authentic Cotons. Individuals with Malagasy residency were permitted to depart the country with only two purebred Cotons de Tulear. Located in the Indian Ocean and the world's fourth largest island, Madagascar was considered a strategic location during the Cold War period. The country hosted visiting statesman and dignitaries from around the globe. As a gesture, the sovereign gift of a Coton de Tulear was presented to former French President, Francois Mitterrand, as well as various Soviet ambassadors. Due to political instability in Madagascar, European residents brought many of the best examples of the Coton de Tulear breed back to Europe. Eventually without the presence of the European community within Madagascar, market interest in the development of the Coton de Tulear collapsed. Malagasy breeders gave their puppies to friends, neighbors and relatives. Neuter and spay procedures were life-threatening surgeries in underdeveloped Madagascar. Thus the Cotons bred freely with other native dogs inhabiting the island. The development of the breed closely paralleled the socio-economic and political climate of Madagascar. Unfortunately today, it is quite difficult to find a purebred Coton de Tulear in Madagascar. Out of the mists of time, the modern day world is fortunate to have inherited the extraordinary Coton de Tulear breed, as vividly portrayed in the legends of the past! As a beguiling companion dog, the Coton de Tulear now faces increasing public awareness in North America. Popularization of the breed leads to a clear and present danger of accelerated puppy mill, pet store and broker interest. In these scenarios, the preservation of unique attributes is in grave peril. The future well-being of the breed depends on those who serve as dedicated guardians of the Coton de Tulear’s exceptional qualities. The Official Coton de Tulear Book by Robert Jay Russell, Ph.D. Copyright © 2010 - 2019 Gayle Geldermann. ALL RIGHTS RESERVED. Written content may not be copied, reprinted, published, modified, translated, hosted or otherwise distributed by any means without written permission of the author.